Portmeirion is pleased to announce the launch of the new Tree Trail. The Tree Trail is a guide to 80 trees in the Portmeirion woodlands including 57 Champion Trees, some of the largest trees in Britain. A special Tree Trail Guidebook has been developed and is available to purchase from the Portmeirion Welcome Centre. Portmeirion is home to a 70-acre sub-tropical forest with an exciting diversity of plants. Surrounded by the dramatic panorama of the Snowdonia mountains and tidal estuary on a sheltered peninsula, Portmeirion benefits from a sub-tropical microclimate which provides excellent growing conditions for an abundance of exotic large specimen ornamental trees including the American Red Oak and Japanese Zelkova as well as many springtime blossoming cherry trees. Native and exotic trees line the main driveway to Portmeirion and Castell Deudraeth including the Chilean Southern Beech, Indian Horse chestnut and Californian Giant Redwood. The main village is home to Irish Yews, Austrian Black Pines and Chinese Windmill Palms as well as a Mediterranean Bay Tree (Champion Tree), North American Tulip Tree (Champion Tree) and Italian Cypress. 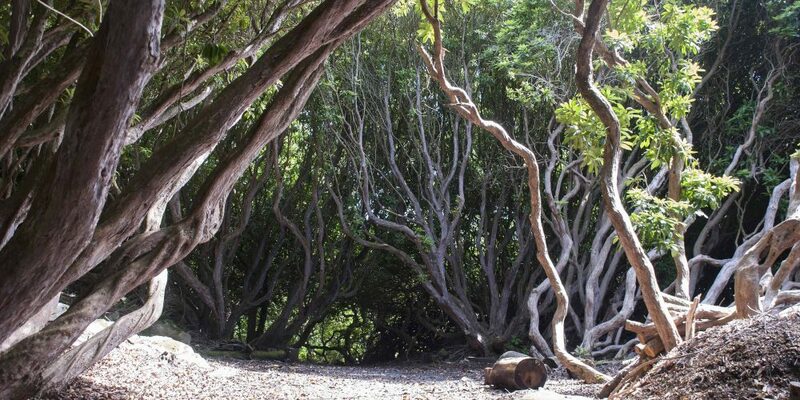 Visitors will find a variety of native and exotic trees in the woodlands including the Chinese Water Fir (Champion Tree), Japanese Flowering Dogwood Tree (Champion Tree) and the Portmeirion Red Rhododendron known as the Gwyllt King (or Kind of the Wildwood). This beautiful rich red late flowering rhododendron was a hybrid raised at Portmeirion in 1938. 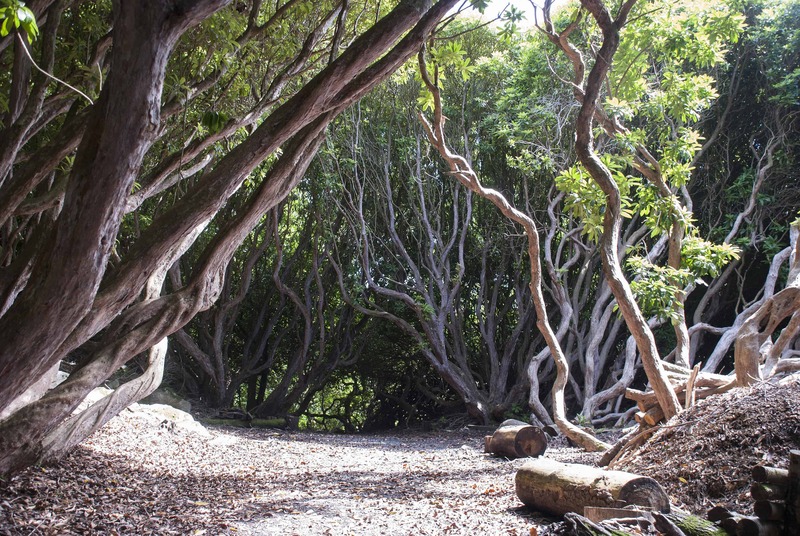 A series of three coloured routes ranging from an easy access 1-hour trail to the more challenging 3-hour trail have been designed to enable visitors to discover these trees and many more during their visit to Portmeirion.